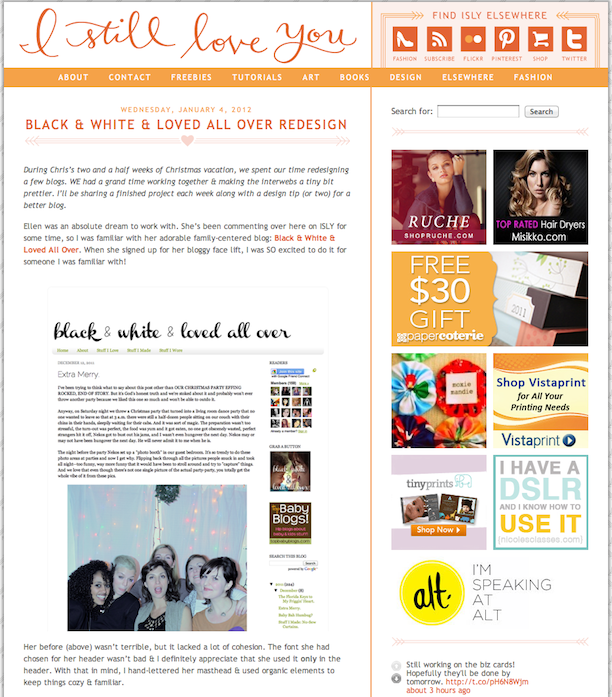 Black and White and Loved All Over: Bloggy Bits. This is a skirt that a reader made for her two-year-old by following the basic idea of my "Pillowcase Trim Skirt" tutorial. Emily says, "I was so inspired by this cute skirt, I made one for my H today! I used strips of fabric from some fat quarters I had. I'll be making more." To my knowledge, this is the first time anyone has actually used one of my tutorials to make something. At least, the first person to tell me they did so. Which means this pretty much thrilled me. And I think hers is presh! 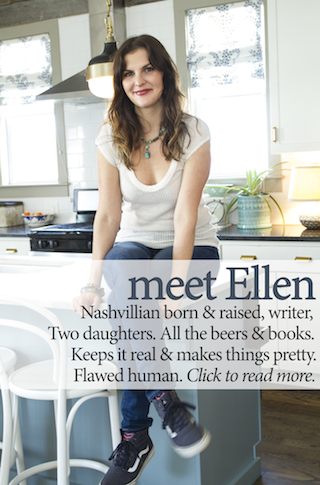 Also, Melissa Esplin at "I Still Love You" blogged recently about how she went about redesigning my blog last month. I can't say enough about this awesome woman and her html whiz of a husband and how grateful I am to have gotten a bloggy facelift from the likes of these two. Lastly, a friend sent me a link to this blog post, which dissects the age-old mommy blogger question: How do you find time to do it all? Answer: They don't. It's mostly a sham. But a really beautiful sham. Hope you're all having terrific weeks! Will check back in tomorrow. 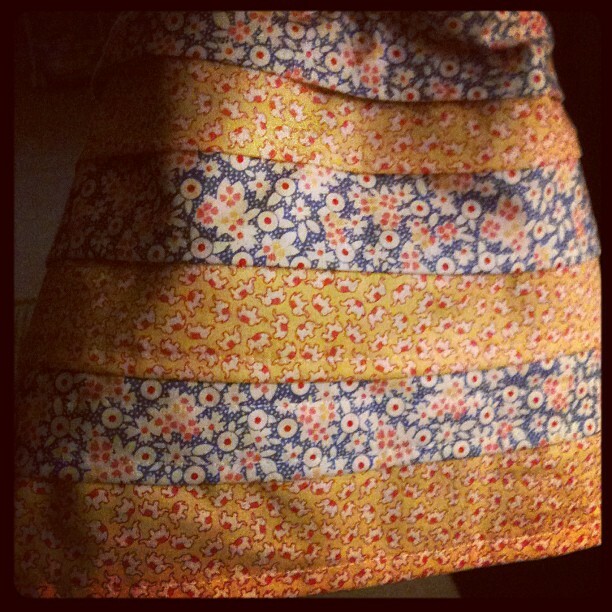 a version of these skirts would make super cute aprons, too--you could sell them and i bet people would run to buy!